LeBron James endorsement deals come together on this new make-up of the Nike LeBron X. 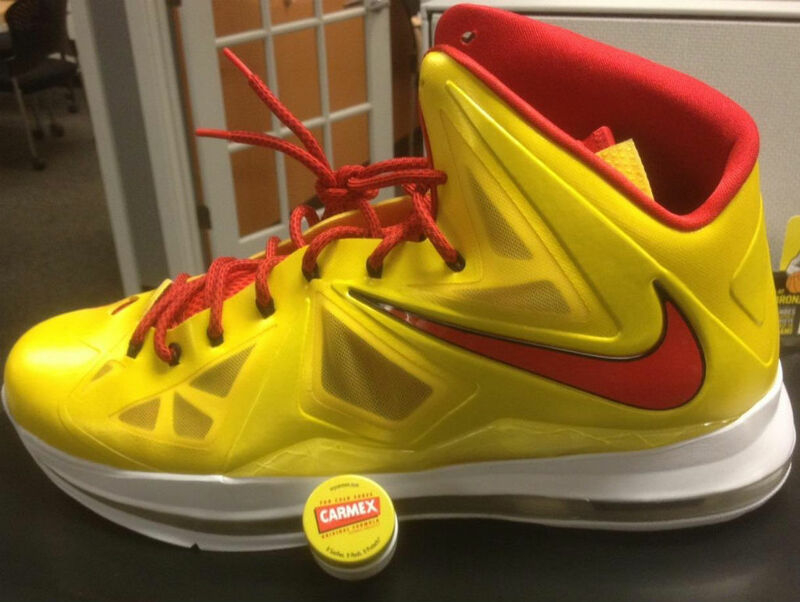 The shoe's Your Yellow and University Red upper represent the colors of Carmex, the popular lip balm brand LeBron formed a partnership with in November of 2011. Swoosh branding is flat, meaning this is the standard version of the model. Below sits a white midsole and outsole. Details are unknown at the moment, but it's possible that this is just an iD design that was sent over to LeBron. You can make your own pair now at NIKEiD.com.